Susan Pettitt’s legacy to the GIANTS Netball will endure even longer than her contribution to consecutive Suncorp Super Netball finals campaigns. Rising star Kiera Austin has cited the influence of the former Australian Diamonds sharp shooter as a driving force behind her development. The pair were teammates last year before Pettitt pulled the pin on a successful career that included a world title and three Commonwealth Games silver medals. But their relationships extends back to when Austin was crafting her style playing junior representative netball for East Ryde. Pettitt was a role model but she also became a trusted counsellor and friend of the then teenaged Austin who would consume every tip about how to become an elusive and accurate goal attack. “I grew up watching her and she worked very closely with me and made sure I was looked after,” Austin said. 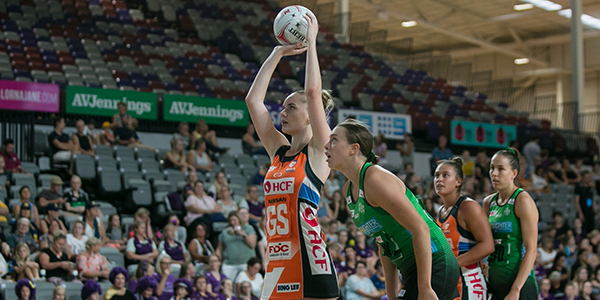 Austin has made giant steps for some one who made her Super Netball debut less than a year ago. Despite joining a team with established shooters Pettitt and Jo Harten in the circle, the 21-year-old already has a handful of games under belt, including a 12-of-16 shooting performance in last year’s preliminary final. She joined the Australian squad as a training partner at the end of last year before being elevated to the team during the Northern Quad Series when skipper Caitlin Bassett was injured. Austin has now challenged herself to build on her experience and seize every opportunity at the Giants where Bassett is now a teammate. “Having two of the greatest shooters in the world (Bassett and Harten) here is a great opportunity to learn,” Austin said. “You can’t set the bar too low, so I’ve got to be confident I can build on my experience. 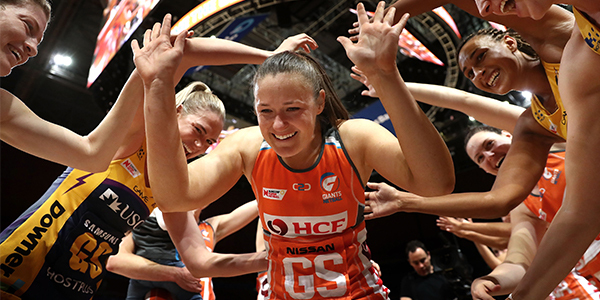 The Suncorp Super Netball 2019 season kicks-off April 27. See the full fixture and get your tickets here.